While Shanti Devi continues to massage young mothers and babies with rye oil, the major reason why her work has come to a halt is the implementation of government schemes such as the Janani Suraksha Yojana (JSY) – a scheme designed to reduce maternal and neonatal mortality by encouraging institutional delivery for poor pregnant women. Along with the institution of auxiliary midwives, such schemes have been key ways of bringing down alarming maternal mortality rates. The WHO estimates that there were 50,000 maternal deaths in India in 2013, as opposed to 148,000 deaths in 1990. However, the WHO notes that world-over there is a need to bring into hospitals skilled midwives who can specialise in deliveries and newborn and postpartum care. Currently, auxiliary midwives are found in rural India and urban trends indicate an over-medicalization of pregnancies and deliveries. Training people like Shanti Devi specially as one who will accompany a pregnant woman to the hospital, negotiate hospital formalities, help care for her and the baby with formal training might be beneficial for the time constrained, urban poor. Back in her heyday, Shanti Devi was a much-sought-after midwife. She has never used a mobile phone and locals joke that she gets lost in Dharavi as easily as the average tourist does. People just came running to her when in trouble. She looks old mostly because you know she has seen it all as you listen to her stories. She is a mother of four; five more children passed away. 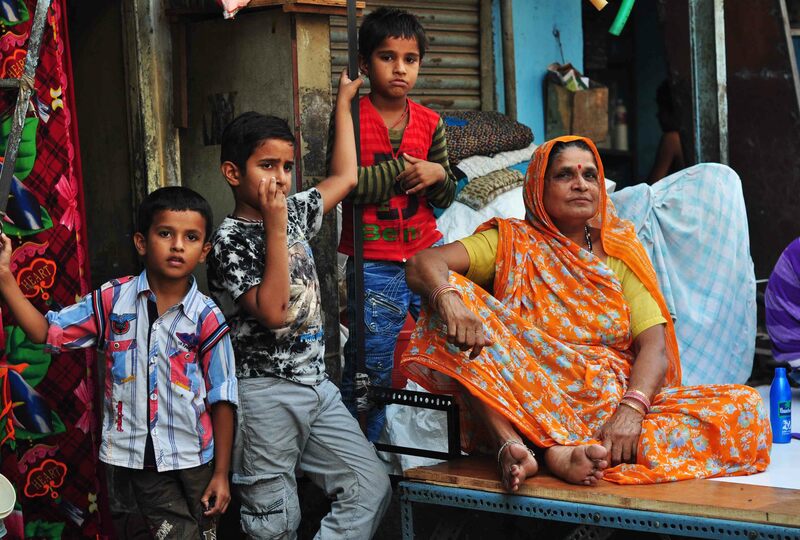 Her husband, who makes a living selling undergarments on the footpath, has tuberculosis. So does her eldest son. “All the earning members of my family are sick,” she cries. She consoles herself by saying that God gives and God takes. Shanti Devi encourages women to seek medical attention these days. She also advises youngsters to have fewer children and recalls, “My father was asked to do a nasbandi (vasectomy) during the Indira Gandhi government. He was adamant that he wouldn’t. He had fathered 16 children and swore that he would have 16 more. In those days, having children was cheap. The expenses that you incur for celebrating a child’s birthday these days … that money you could use to get your daughter married off in those days.” As women sitting beside her laugh and talk in eyebrow-raising numbers about the children they have given birth to (Shanti Devi’s neighbour had 10, of whom 6 survived), Shanti Devi is clear about one thing. That the practice of a midwife is one of sisterhood. An art for health festival, right here in Dharavi!